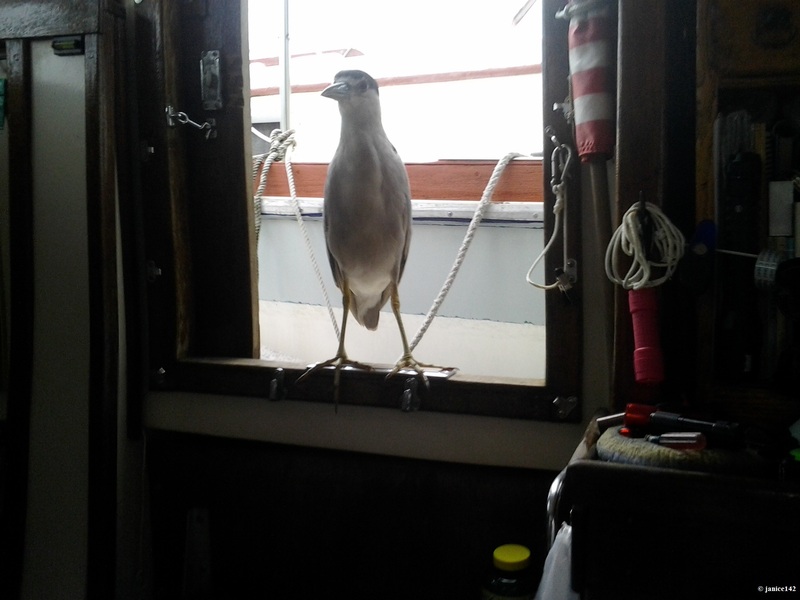 So far, knock teak, I have not had an issue with rodents aboard Seaweed. This fact does not mean that I am unprepared for such an event. To be on the safe side several traps were purchased. In case I'm faced with rats or mice I want weapons in my arsenal. Here is how I make sure the critters cannot escape. 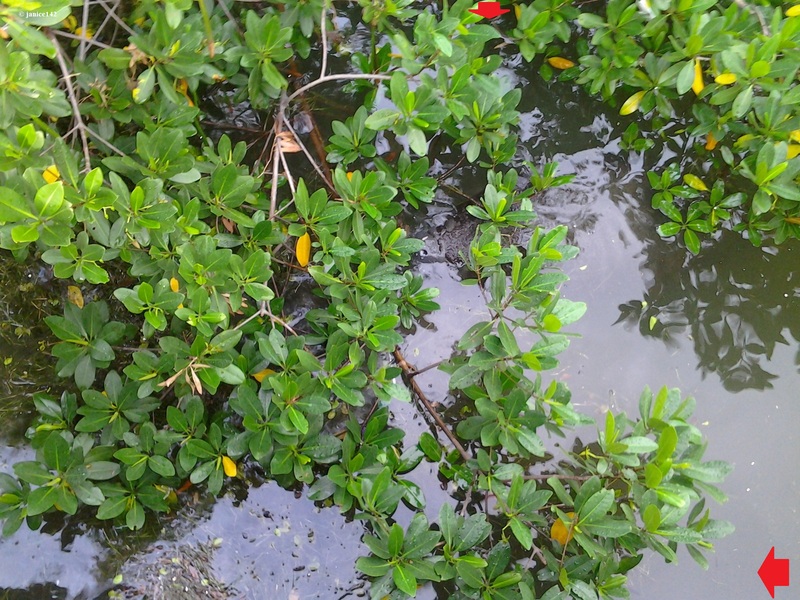 Seaweed is close to mangroves. 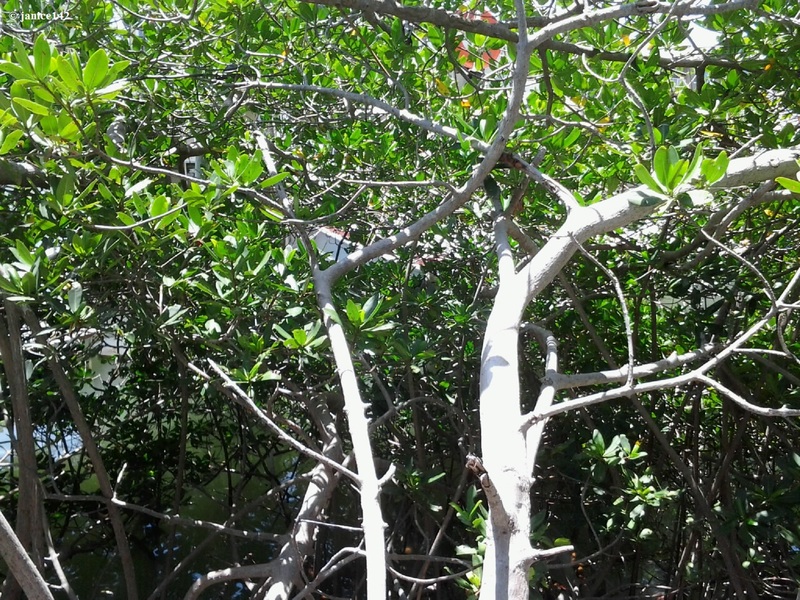 Along with birds, rats live in the mangroves. It would be easy for a critter to come aboard my home. 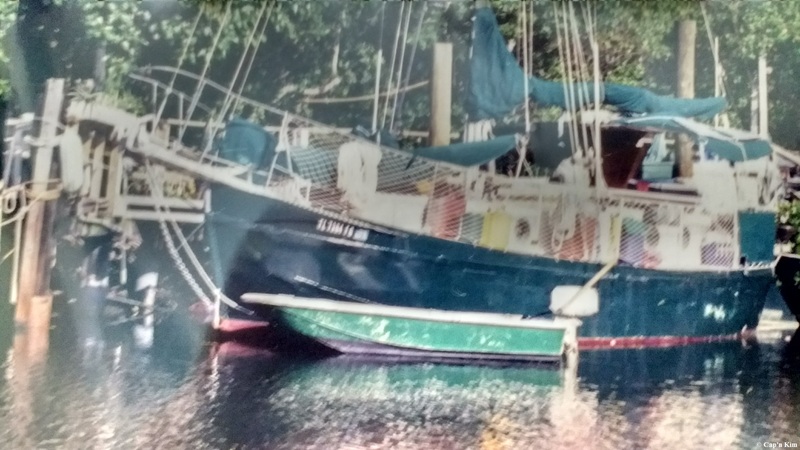 Boats that tie to a dock at some point may be faced with rodents. Old sailors will suggest putting a metal funnel on your lines so that the critters cannot climb aboard easily. The large end faces the dock. This supposedly prevents rats from coming aboard. Theory says that as long as the funnel is large enough the rat won't be able to climb over and your boat will be safe. Everything works in Theory. I should have named my boat Theory. Theory is wonderful. That said, I want weapons of destruction aboard and ready. Thus I went to Walmart and bought both a rat trap and four mouse traps. I bought Victor brand. The single rat trap was $2. 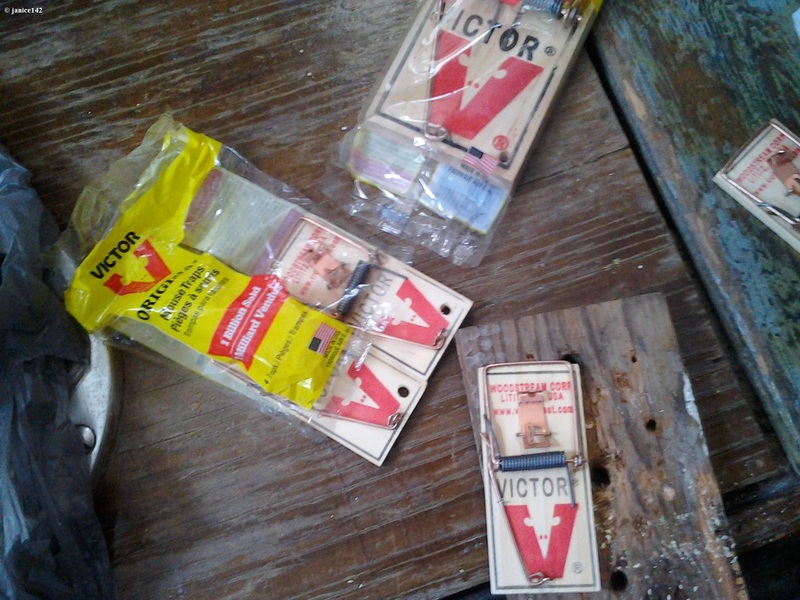 A four pack of mouse traps were also $2. 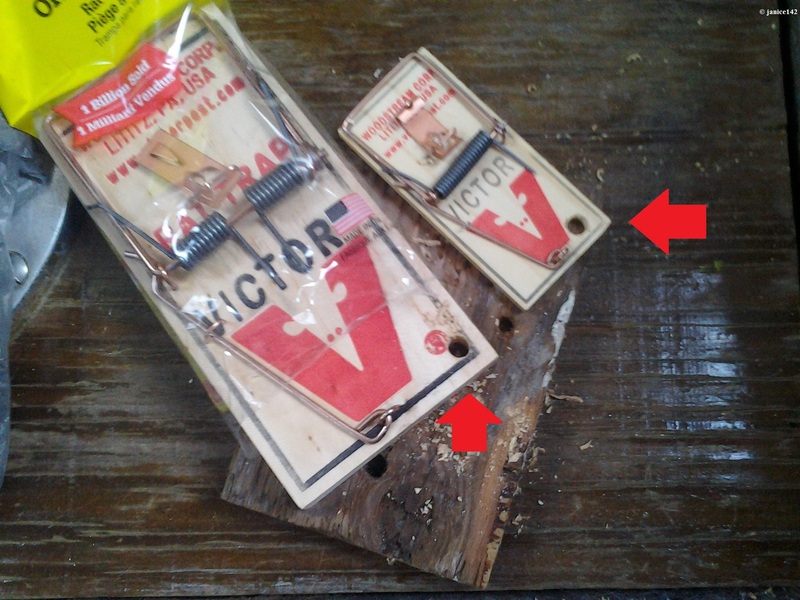 Side Note on mouse traps: You can buy two at the dollar store for a buck. Then I got out my drill. I chose a 3/8" drill bit and made a HOLE ↓ in one corner of each trap. My plan is to tie a small piece of twine through the hole in the corner. Then I'll secure the trap to something structural. 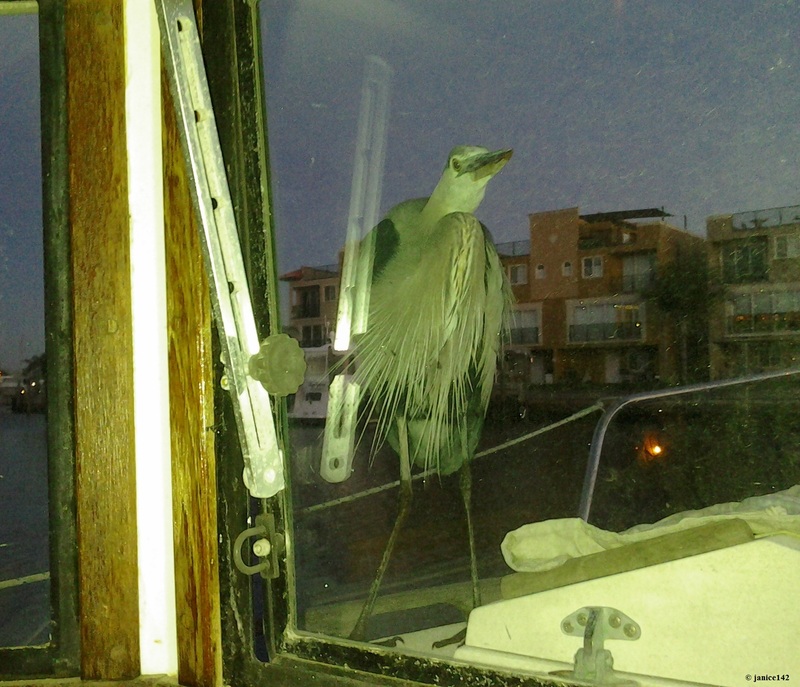 That way when a critter is caught it cannot drag off the trap to an inaccessible spot in my bilge. Because I do not intend to reuse the trap I want to be able to grab the trap by the string. I am not touching a dead rat. That is not in my future. I'll hold the trap by the string over the water. Then I will cut the line close to the trap. I am saving the twine. I like that stuff. Doesn't everybody have a box of Small Stuff? That's what Daddy called lines 1/8" in diameter and smaller. I have a box from Estee Lauder (it held my favorite perfume in the world, Beautiful) that holds Small Stuff. You might be surprised how often I have used a few inches of the line stored in that plastic box. It's little things that make this life satisfying. For me, having supplies is critical to my happiness quotient. I want to be prepared. Should a mouse or rat dare to invade my Seaweed, I can get rid of it immediately. There are more important things to do than go to a store to buy rat traps. I have visitors I want to watch. Viewing manatees playing under the mangroves is fun. large grey rocks spotting them is easiest when they come to the surface to breathe. Enjoying life aboard Seaweed often seems to mean that time vanishes more rapidly than I can imagine. Watching wildlife can fill hours. Grab a kindle and read too? Well, entire days can disappear before I know it. Retirement afloat is awesome. I highly recommend it! This is Cap'n Kim's ↑ Sea Turtle. Sea Turtle was home for Kim and family. Cap'n Kim is a great cook. 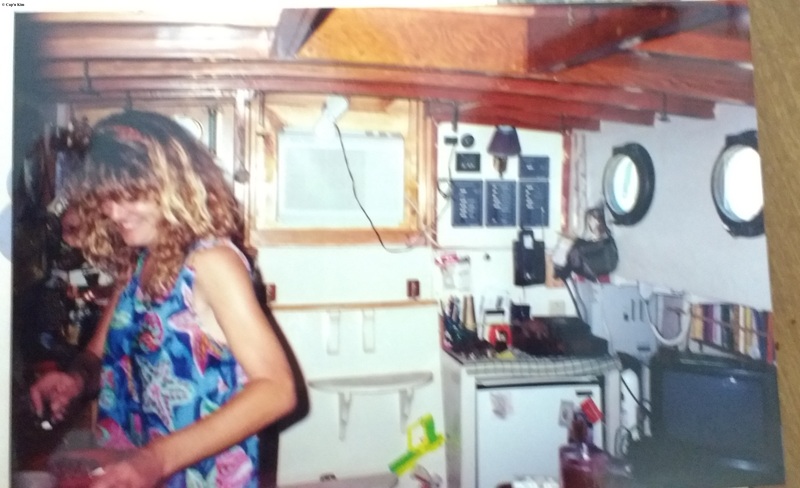 A lot of ladies afloat are amazing in the galley. For myself, I enjoy spending time and effort in making healthy foods. There are fewer distractions when at anchor. Thus I can experiment and go wild in my galley. Sometimes that innovation is a success. Not always though. I got a little too enthusiastic recently. In case you wondered, adding eleven dehydrated chili peppers to a pot of chili is a BAD IDEA. Three would have been plenty though next time I'll start with just one pepper. You could say I'm a red hot cook now. My chili was scorching! All of us who live on boats are careful. Our galleys are kept clean and we do all we can to avoid pests. Having a few mouse traps and one rat trap is a way to insure that no rodent will take up permanent residence aboard Seaweed. Besides the sanitary issue, rats will eat through the insulation on your wiring. They can chew into plastic and cardboard boxes to get to the contents. And they poop. Eek! In thinking about it, I may just add another rat trap to my arsenal. I will again drill a hole in one end for a line. Securing the trap will keep the critter in one spot. Even thinking about rodents gives me the creeps. Yuck. This is Buddy waiting for me to give him hotdog wafers. One of us is well trained. Enjoying life afloat is what I do. I wish the same happiness I experience to each of you. Happy boating! Addendum, January 2018: Cap'n Sid Tracy in the Comments Section tells of a rat trap that can easily be made by yours truly. Best of all, I already have everything necessary aboard Seaweed. I liked his idea so much I've copied it here so all can read it. Thank you for posting the how-to captain. Cap'n Sid says: A cheaper way to rid your self of rodents is to take a plastic pail and puncture two sides. Up near the top. Run a piece of dowel rod thru one hole have a piece of PVC that fits over the dowel rod and will rotate. The rod carries on through the next hole. The PVC must rotate freely. Then in the center of the PVC place a dab of peanut butter or other sticky bait. Fill water in the pail but below the rod and PVC. Rat/mouse will trot across the rod to the PVC and when he/she starts across the PVC for a bit of bait the PVC rotates and drops him/her into the water. Now if he/she drowns you can just empty the pail overboard and some fish will have a snack. If he/she is still paddling around either dump or dingy away to a new location and relocate the unwanted guest. This worked for me. I'd love to know if you keep rat and mouse traps on hand. And, have you ever done the funnel trick to keep rats off your boat? A favorite aphorism: Job Evaluation: Works well when under constant supervision and cornered like a rat in a trap.